Click here to view the Web Version . Click here to forward to a friend. This newsletter was sent to [email]. If your address has changed, or you want to change your preferences, please take a moment to update your preferences here. Well here we are on the eve of the September initiative at the UN. What will happen? No-one really knows. The shabab (Palestinian youth) are spreading tales of an upcoming Intifada (uprising). the Palestinian Authority is organizing their own 'Arab Spring', even co-opting members of the non-violent protest movement to help organize the rallies. The PA vows that their security forces will contain demonstrations within the Palestinian cities. Meanwhile settler organizations are planning counter demonstrations should the Palestinians leave the confines of Area 'A'. As this newsletter was being prepared for distribution I received notice that the IDF will be reinforcing many checkpoints across the West Bank tomorrow, necessitating a modification of one of our tours. A murky soup indeed. However much to my surprise, the numbers of participants at Green Olive day-tours is actually a little up from last year. People are still coming despite the uncertainty. That's wonderful, and we have some great special tours to offer. Read on . . . Yes it's that time of year again, and Green Olive Tours is offering buses from Tel Aviv and Jerusalem to the annual OktoberFest. Each year the Taybeh Brewery, together with the municipality and local organizations, sponsors this 2-day festival of music, dance, culture, and of course beer. The Taybeh Brewery is the only Arab-owned micro-brewery in the Middle East. Nestled among groves of olive trees, Taybeh is an all-Christian village just 15 kilometers north-east of Jerusalem at the edge of the Judean desert. In addition to the festival, guests can tour the Byzantine Church, the Old City area, and visit the brewery itself. 'Morning Improvisations' in Celtic and jazz styles. Sunrise tours to Masada have long been a staple of tourism in Israel. This special tour will provide magical harp music as the sun rises over the Jordanian hills, and more music during the picnic breakfast. 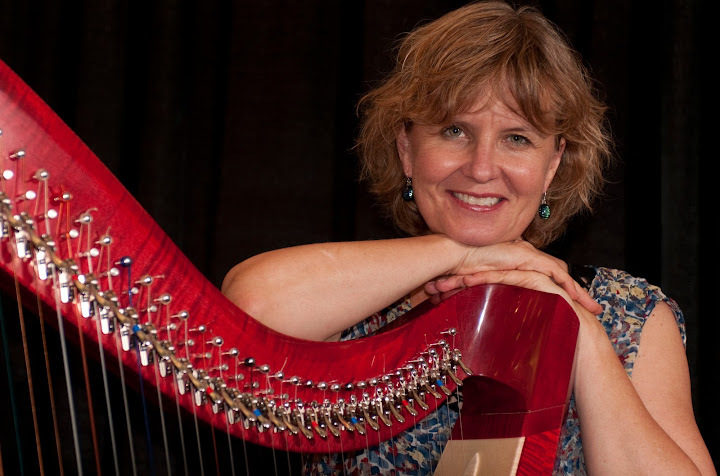 Harpist Sunita Staneslow, wife of Green Olive Director Fred Schlomka, and special guest artist Park Stickney will provide the music. Park is visiting the country to teach and perform at the Jaffa Harp Festival, and will also teach a workshop and perform for the students and their families at the Salem Music Center near Nablus in the northern West Bank. The tour will, of course, include our usual unique content with the guide discussing the ecological issues at the Dead Sea, and the plight of the Bedouin in Judean desert and Jordan Valley. The tour will also pass the large settlement of Ma'ale Adumim. Don't miss this unique opportunity. . . more information and reservations. We are always looking for guest blog posts. If you have been to Israel/Palestine and have an interesting story to tell then send it on to us. It can be published with your name attached, or anonymously. The best blog posts are usually only 3 or 4 paragraphs. Photographs welcome. Our initial tours include a day-trip in Amman which includes lunch and discussion in a refugee camp. The Petra tours include visits and overnight stays with local Bedouin. We are also able to package custom tours for individuals, families or groups that can include Jordan, Palestine, Israel. . . . . more information. 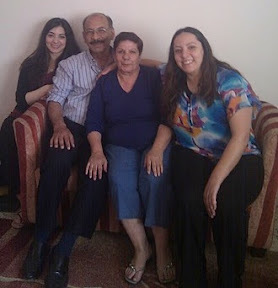 Our Jerusalem home-stay program is finally underway, complementing the home-stays in Beit Sahour (Bethlehem). The first family to sign up was the Mashni family of Shuafat. Our guests stay in a comfortable home in a quiet inner suburb of East Jerusalem. The Mashni hospitality is truly superb, and the cooking of Mrs Mashni is legendary. Breakfast and dinner are included. The house is a 5-minute walk from the bus stop, and also easily accessible from the new light rail service that will whisk you to the Old City is a few minutes. Walking to the Old City is about 25 minutes. . . . . more information and reservations.